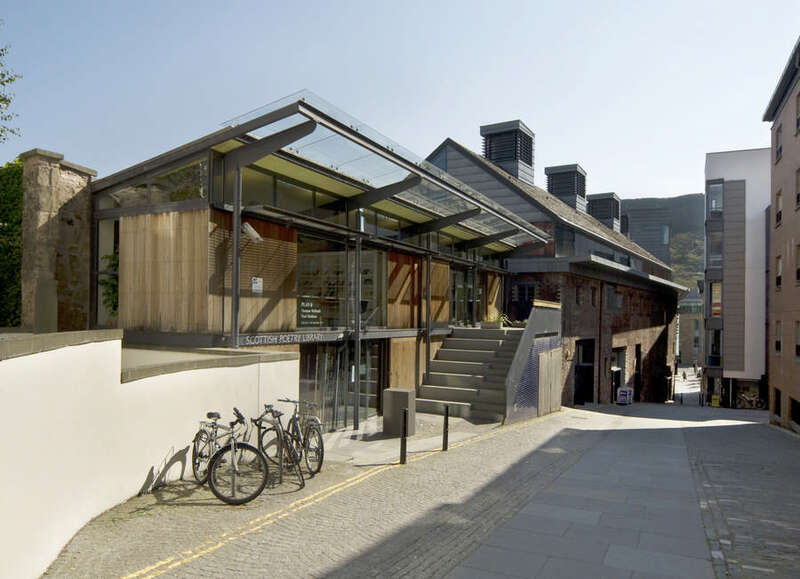 Scotland’s newest hub for health, science and sports education opened its doors to 5,070 students and staff. 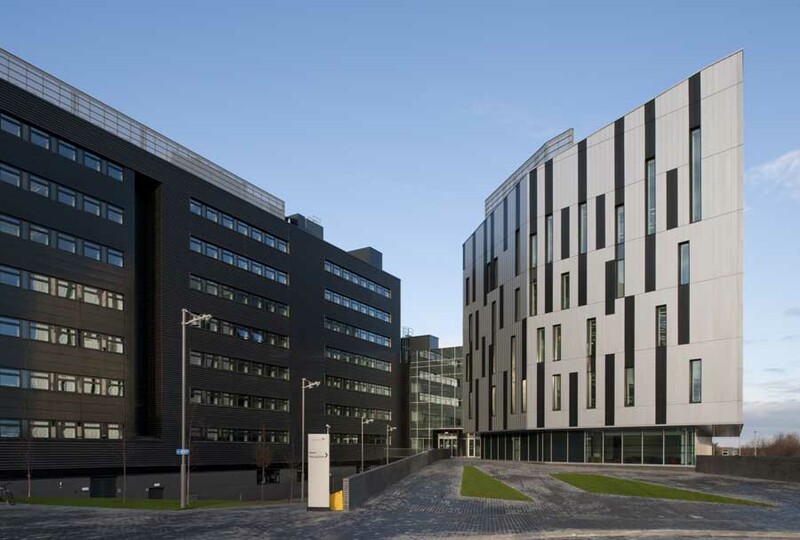 The new state of the art Edinburgh Napier University building, designed by RMJM Architects and Buro Happold engineers was built by Balfour Beatty Construction on an existing Edinburgh Napier University campus in Sighthill, in the west of Edinburgh. Students from the Faculty of Health, Life and Social Sciences will be based on the campus. The Faculty comprises two Schools – the School of Life, Sport & Social Sciences and the Nursing, Midwifery & Social Care School – which are being brought together in one location for the first time. 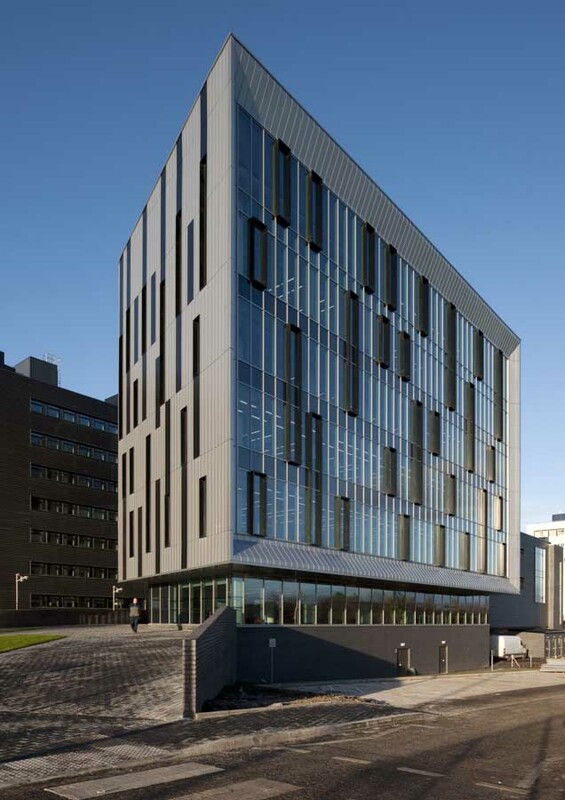 The new Sighthill campus is a beacon of sustainability and has already been awarded a BREEAM “excellent” rating. 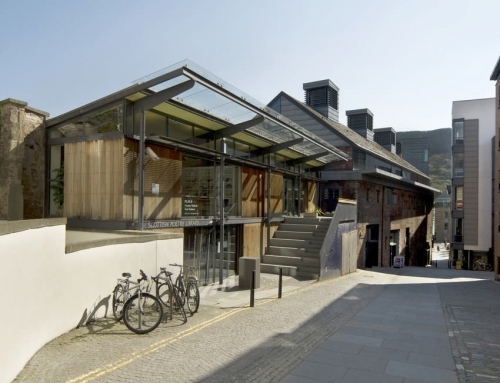 Low carbon emissions and effective overall energy performance play a key part of the design. During construction of the Sighthill campus, 8,000m3 of demolition material was recycled and incorporated into the new building. 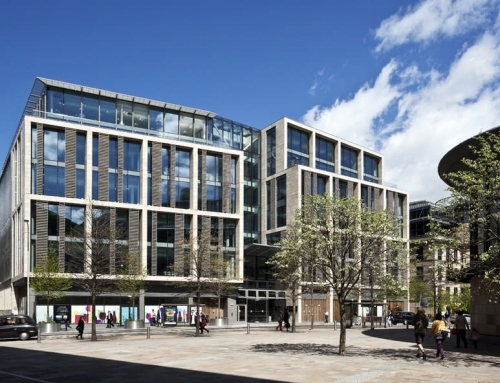 Dame Professor Joan Stringer, Principal and Vice Chancellor of Edinburgh Napier University said: “I am exceptionally proud of this new landmark building for the city. I believe that we have created a truly special centre for the teaching of health, science and sports of which both our students and Scotland can be proud. 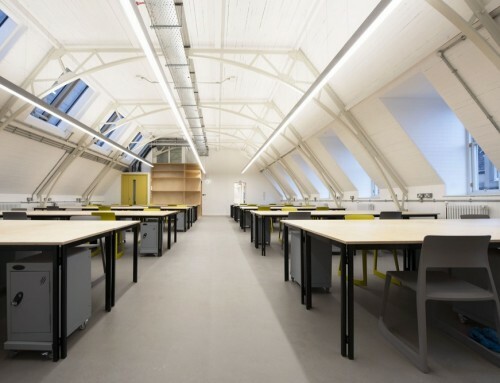 The architectural wow factor and innovative facilities combine to make it a first class environment in which to learn. “In this boldly designed campus we have fantastic sports teaching facilities, mock hospital wards, laboratories and state of the art lecture theatres. “I am particularly delighted that we have delivered this on time, on budget and in an environmental manner. It is a fantastic example of success for our students, who will be able to hit the ground running in careers such as nurses, scientists and sports science experts.” Balfour Beatty Construction Scottish & Southern Managing Director, Bob Clark said: “We are delighted to have delivered a state-of-the-art building which will not only benefit the students but also the local community”. 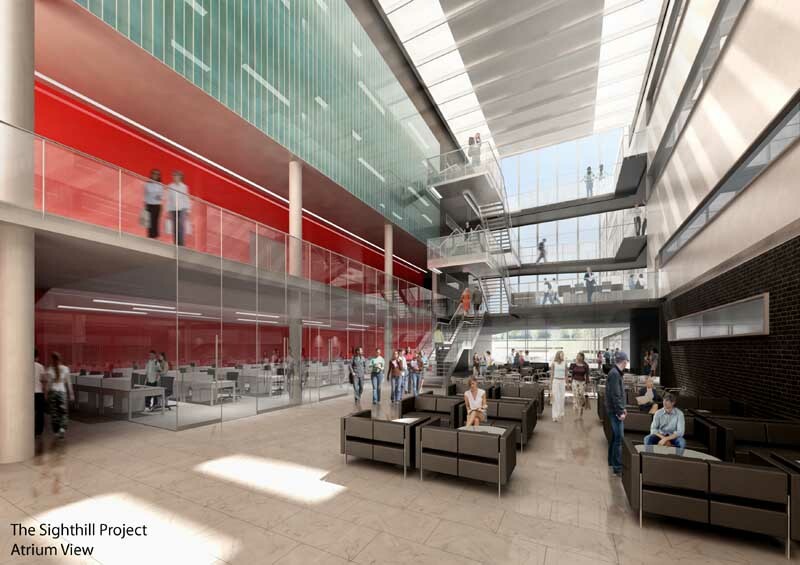 Paul Rodgers, Principal of RMJM Edinburgh, said: “We have created a knowledge hub that brings together visionary learning spaces and state-of-the-art technology in an iconic structure that reconnects the Sighthill campus with the city. 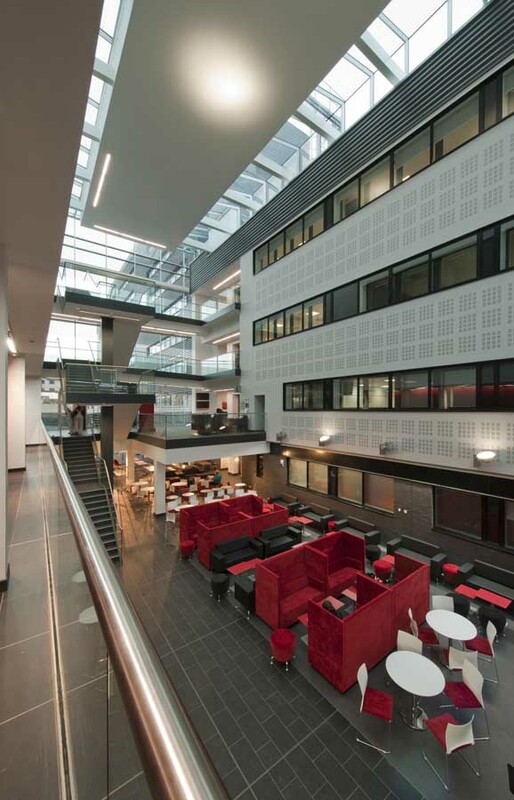 The keys for the campus were formally handed over in October 2010 by Balfour Beatty Construction following an 89 week construction programme. Since then, the fit-out of the building has been underway. 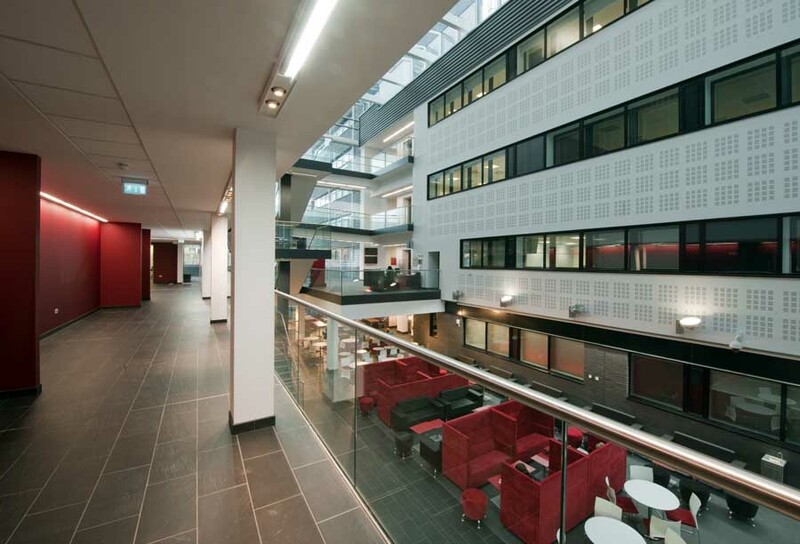 The building has undergone a phase occupation starting with the University’s Professional Services and Academic staff who moved into the building immediately after handover. 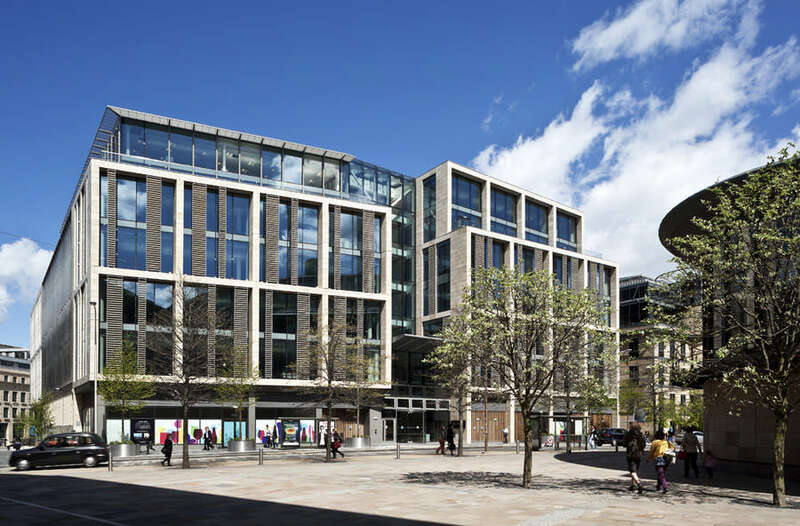 In addition to Balfour Beatty Construction and RMJM Architects, the design team involved Cyril Sweett (cost consultant) and Buro Happold (Structural, Mechanical, Electrical and Plumbing and Specialist Consulting Engineers). 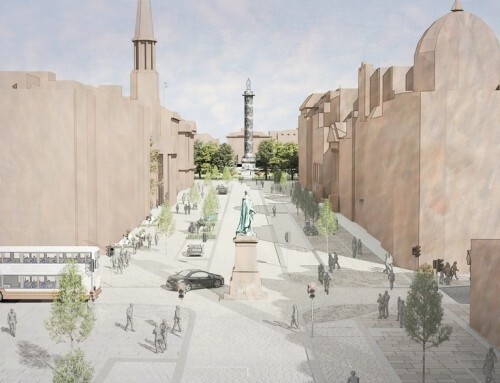 The City of Edinburgh Council has approved a detailed planning application which will see Napier University redevelop its Sighthill Campus. As part of the University’s £100 million estates strategy, the redeveloped campus will bring the Faculty of Health, Life & Social Sciences together under one roof for the first time, and provide first-rate learning, teaching and research facilities for the 5,000 students and staff who will study there. 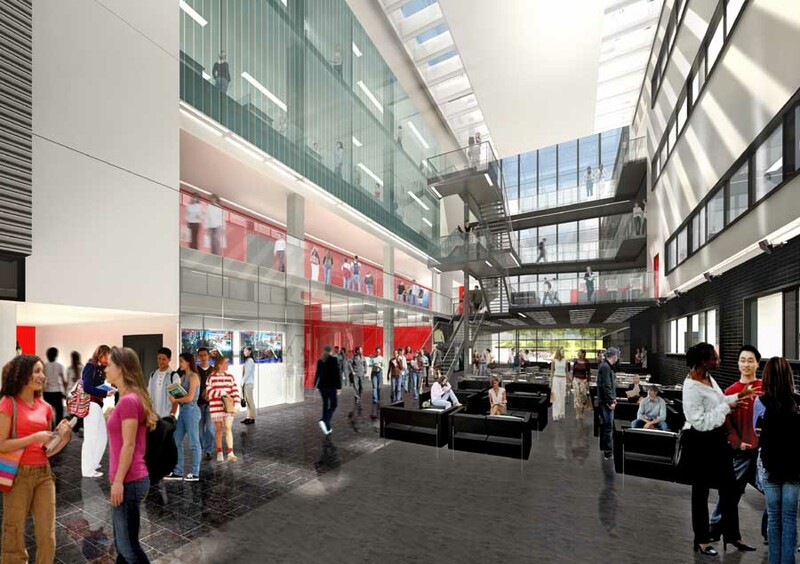 Professor Joan Stringer, Principal & Vice-Chancellor of Napier University, said: “We are delighted with the decision from the City of Edinburgh Council which allows us to forge ahead with the redevelopment of Sighthill Campus, which is central to our ambitious estates strategy. 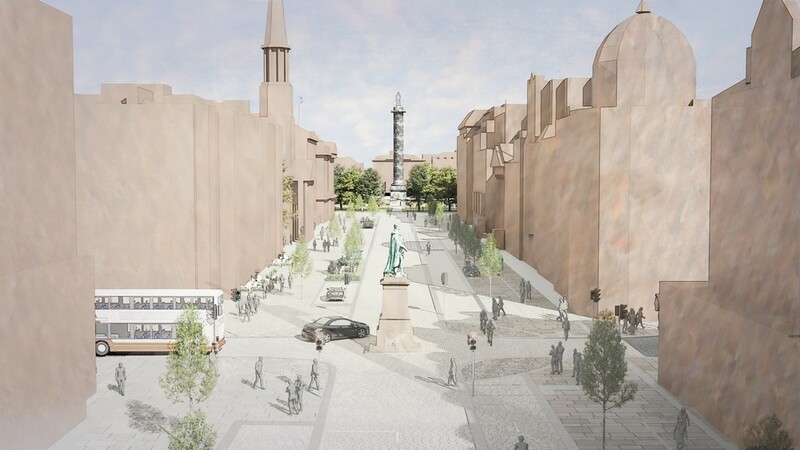 The development will also significantly contribute to the wider regeneration of North Sighthill and the local economy. The construction programme alone will support in the region of 100 full-time jobs. And from 2010 the staff and students based in Sighthill will bring major economic benefits to the surrounding area. Demolition work began on-site in spring 2008 and Sighthill will re-open for the start of the academic year 2010/11. The plans include a new building adjacent to the refurbished central spine of the existing Sighthill building and a glass front atrium which will create a social hub for the building. 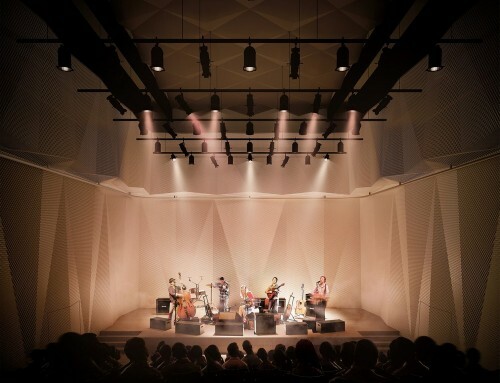 The new campus will be student-focused and contain a variety of mixed learning spaces, including a Learning Resource Centre, clinical skills laboratories, IT-enabled lecture theatres and seminar rooms and sports facilities. Napier University worked closely with international architects RMJM to draw up plans for the new Sighthill campus, as well as undertaking extensive consultation with a range of partners and stakeholders including local businesses, community councils, the City of Edinburgh Council, Stevenson College Edinburgh and NHS Lothian. 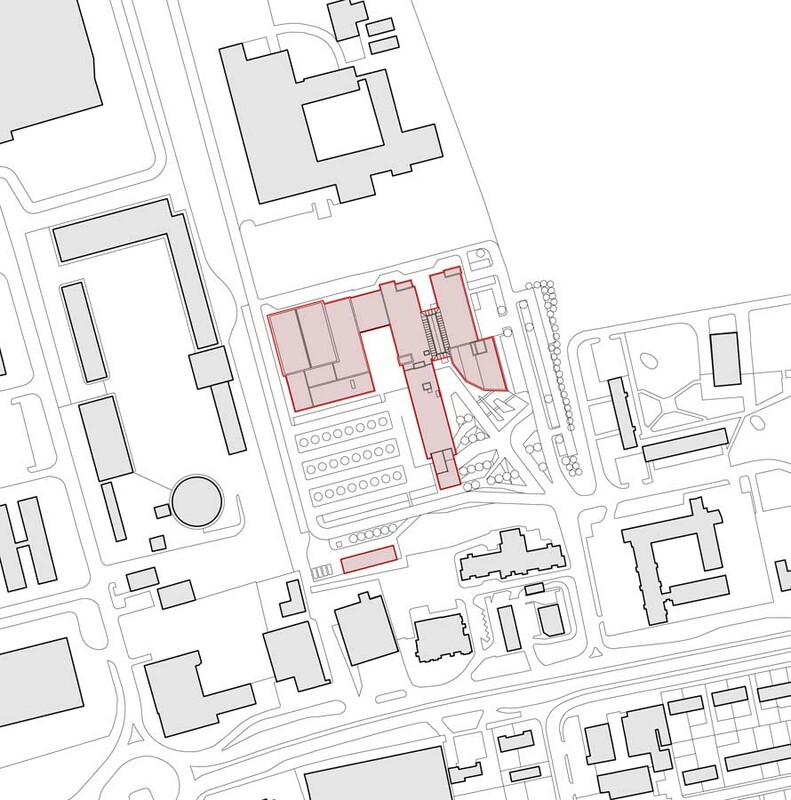 The Sighthill Campus proposals for Napier University are being progressed by a design team led by RMJM architects, Jones Lang LaSalle, Heery International, Buro Happold and Cyril Sweett. 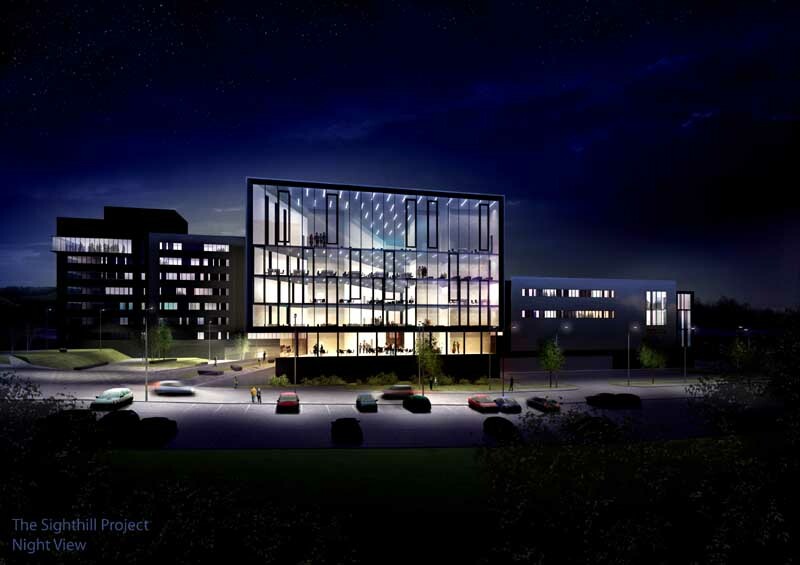 Napier University has submitted a detailed planning application to the City of Edinburgh Council for the redevelopment of its Sighthill Campus. The Napier development will significantly contribute to the wider regeneration of North Sighthill and the local economy. The construction programme alone will support in the region of 100 full-time jobs. And from 2010 the staff and students based there will bring major economic benefits to the surrounding area. 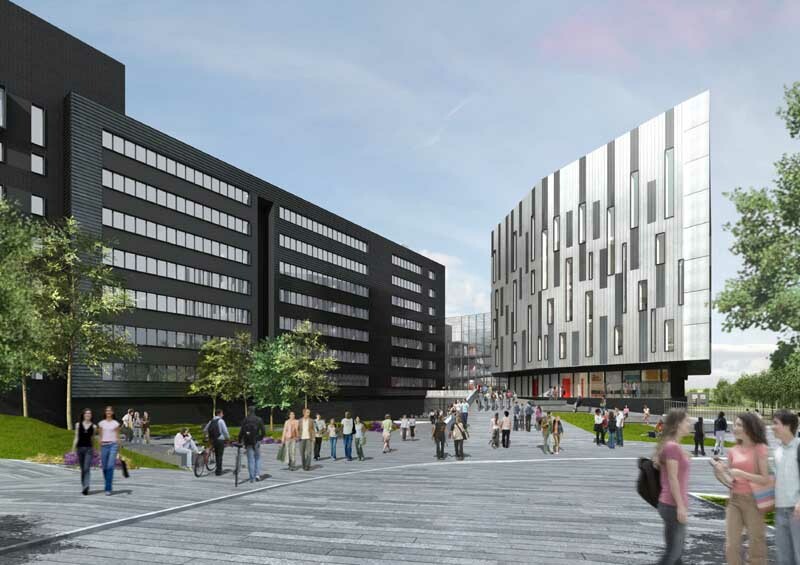 Napier University is seeking approval for its Sighthill Campus plans as part of its £100m estate strategy. The redeveloped Napier campus will bring the Faculty of Health, Life & Social Sciences together under one roof for the first time, and provide first-rate learning, teaching and research facilities for the 5,000 students and staff who will study there. Work is due to begin on-site in spring 2008 and the Sighthill campus will re-open for the start of the academic year 2010/11.